SUMMER! I think I have a love hate with summer. On one hand living in the South I loath the summer humidity, constant evening pop up storms, and a cosy low of 80 degrees 😒. On the plus side, I love, love, love the music in the parks, lazy days with family and friends, holiday celebrations, my birthday, and most importantly SUMMER FRUITS & VEGGIES! Armed with an array of summer herbs, I’ve been experimenting with flavorful recipes so here we go! 1. Pull back the husk of the corn ears, remove the silk from the corn. 2. Rub the pads of butter on the ears of corn and sprinkle with kosher salt. 3. Pull the husk over the corn and roll the corn in aluminum foil. 4. Place covered corn on medium-high grill grates for 30 minutes rotating periodically to cook evening on all sides. 5. Remove the corn from the grill then removing the aluminum foil and husk. 6. Smooth mayonnaise over the ears of corn. 7. Break the queso into small chunks and sprinkle over the corn. 8. 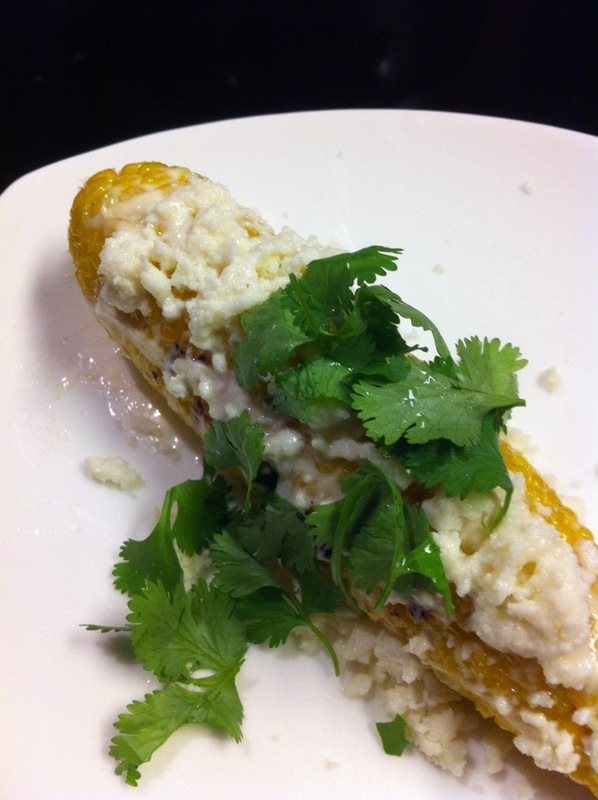 Top the ears of corn with chopped cilantro and serve.